Population: approximately 16 million of people. Currency unit: 1 Kazakh tenge = 100 tiyn. Head of the government - President Nursultan Nazarbaev (in the capacity of the President since 1st of December 1991). Kazakhstan boarders on Russia in the North, China in the East, Kyrgyzstan, Uzbekistan and Turkmenistan – in the South. Kazakhstan is surrounded with the Caspian sea in the West. Till 1991 the country was called the Kazakh Soviet Socialist Republic and it was on the roster of the USSR. The area of the country is 2,724.9 square kilometers. The most part of the territory of Kazakhstan takes the plain, surrounded with the mountains in the East and Southeast. The difference in altitude between the east and west of the country is enormous. Mountains along the border with Kyrgyzstan rise to almost 5,000 meters above sea level, and the depression Karagiye (Batyr) on Mangyshlak is located at 132 m. below sea level. The main rivers of the country: the Ural and Emba flowing into the Caspian Sea, the Syr Darya, which flows into the Aral Sea; the Ili that flows into Lake Balkhash; the Tobol, Irtysh, and Ishim flow to the north and fall into the Arctic Ocean. The population of the country is about 16 million, the average density of population is approximately 6 persons on 1 square kilometer. The ethnic groups are: the Kazakhs - 41,9%, the Russians - 37%, the Ukrains - 5,2%, the Germans - 4,7%, the Uzbeks - 2,1%, the Tatars - 2%. 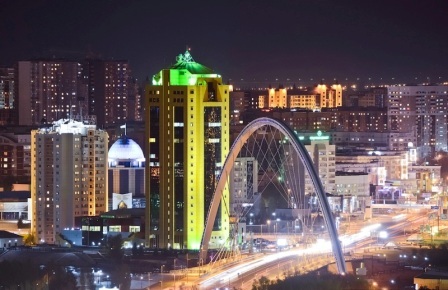 The largest cities are: Almaty (1262000 people), Karaganda (613000 people), Shymkent (401000 people), Semipalatinsk (339000 people), Pavlodar (337000 people), Oskemen, former Celinograd (330000 people). The territory of modern Kazakhstan since the VIII century has been populated by the Turkic tribes. In the ХШ century Kazakhstan became a part of the Empire of the Mongols and till the XVIII century it was in it. 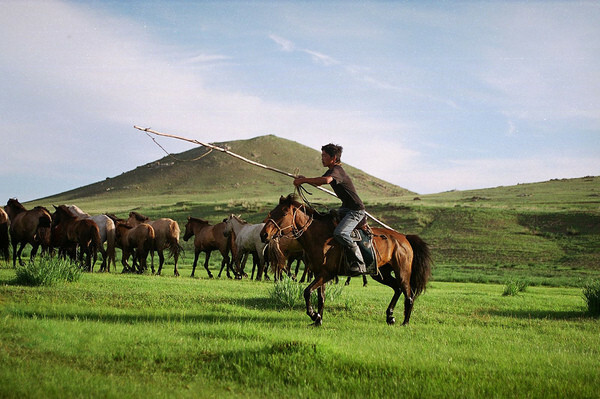 At the beginning of the XVI century the first Cossack units established the settlements along the Ural and hereinafter they spread on the territory of the Northern part of modern Kazakhstan. But till the 30 years of the XIX century Russia did not operate actively on the colonization of Kazakhstan. In the 30 years the Russian army organized a march to the south, and by 1866 the entire territory of present-day Kazakhstan had been under the Russian authority. In 1918 in the Eastern part of Kazakhstan the autonomous republic was proclaimed. But soon it was captured by Bolsheviks, who in 1920 on the territory of Kazakhstan proclaimed the autonomous republic. Till 1986 it was the Autonomous Soviet Socialist Republic, and in 1936 it was the part of the USSR as the Soviet Republic. On the 16th of December Kazakhstan proclaimed its independence. Now the country is the member of UN, CIS, OSCE, Organization "Islamic Congress". The climate in the country is sharply continental. The average temperature in January is from -19° С to -4° С, the average temperature of July is from 19° С to 26' С. In summer the temperature can reach 45° С, and in winter - 45° С.